Text message: TRENDY to 552255 to get a $10 off $10 in store purchase code. You should be able to get something free or nearly free with this. –locator If you are a current subscriber text STOP to 23705 before doing this. -this is still available if you didn’t get it yet. Text Message: AMERICA to 73277 to get a coupon for $5 off $5 at Sears stores. Valid in store only, expires 2/24. https://liebequark.com/valentine/? -click the free coupon button and fill out the form to get a coupon for a Free Liebe Quark Yogurt Product. Valid in CT, MA, ME, NH, NY, NJ, RI, and VT only. First 5,000.
https://www.periscope.tv/w/1lPKqdnpnQdxb?q=%40marcuslemonis -the host of the tv show “The Profit” did a video asking for feedback on the Gander Outdoors or Overtons website. They want any info about spelling mistakes or just general feedback to: focusgroup@ganderoutdoors.com and you’ll get a coupon for $25 off $25 to those sites. Text message: VALPAK to 727272 to get a code for a Free Redbox DVD, Blu-ray, or Video Game Rental. The code expires 2/28. 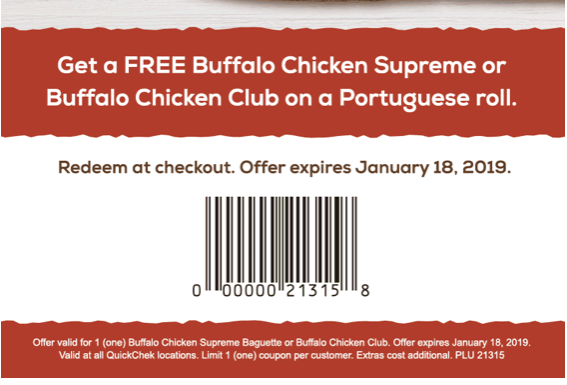 Coupon link(expires 1/18) -they’re located in New Jersey and New York.